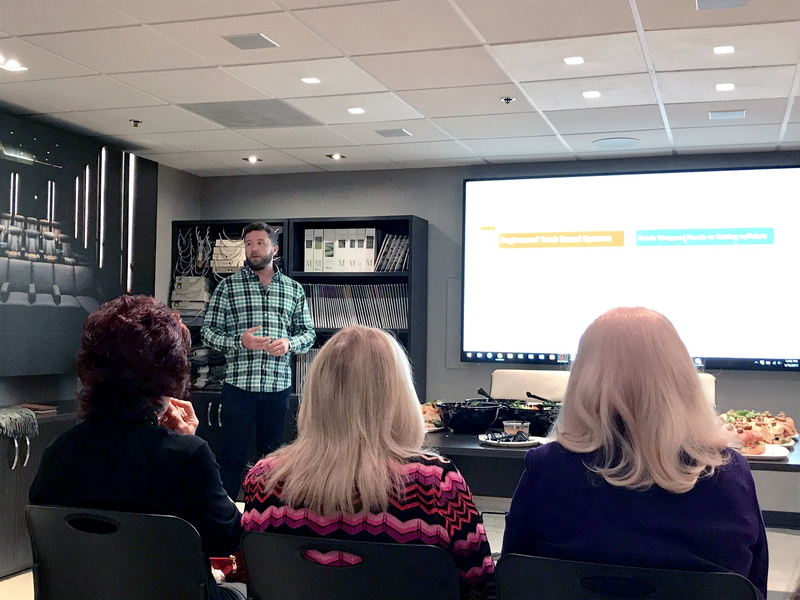 Last week, CinemaTech hosted its first open-house luncheon and CEU presentation to cover the fundamentals of acoustics, sound isolation and designing home ‪theaters. 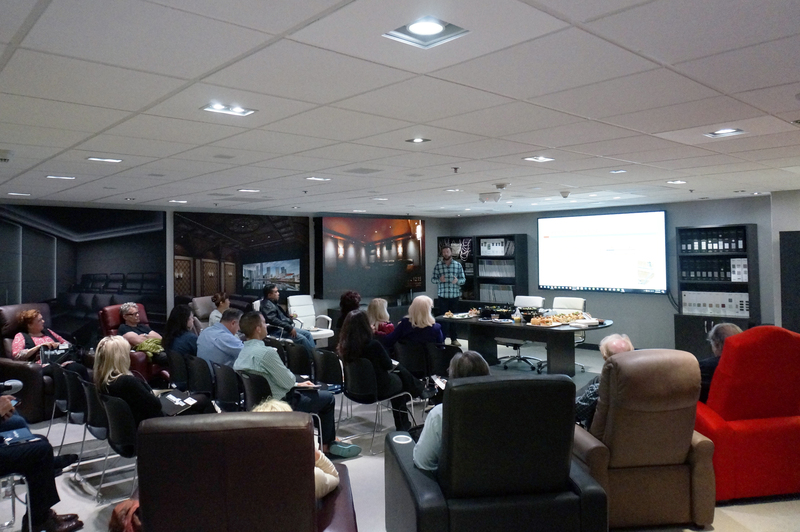 Moderated by Denton, PDC’s network of designers eagerly learned about home theater trends and planning methods. “Designers provide essential insights to aid in our process of creating entertainment systems and environments for their clients that not only sound­­ and perform great but look amazing, as well,” Denton explained. 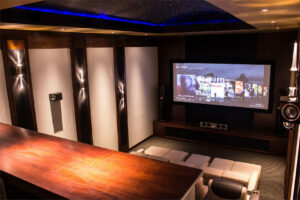 Treat your home theater room from a listening perspective. In an acoustically correct room all the different frequencies should behave evenly; you should hear the sound, not the speaker. Sound isolation is only as good as its weakest link. If outlets, return air vents and doors are not properly treated, no amount of wall isolation material can truly isolate a theater room. Mass, Damping and Decoupling. You can achieve varying degrees of sound isolation by adding mass, dampening wall surfaces, and most importantly, decoupling adjoining structures so they are not physically connected. Current Theater Trends. 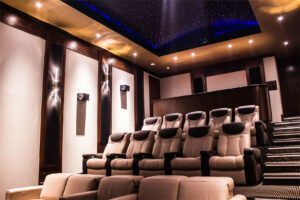 Notable changes in home theater trends include a transition towards multi-purpose rooms, more contemporary designs, social/conversation seating layouts, sofa-based seating, LED lighting and starlit ceilings. Proper planning is critical. 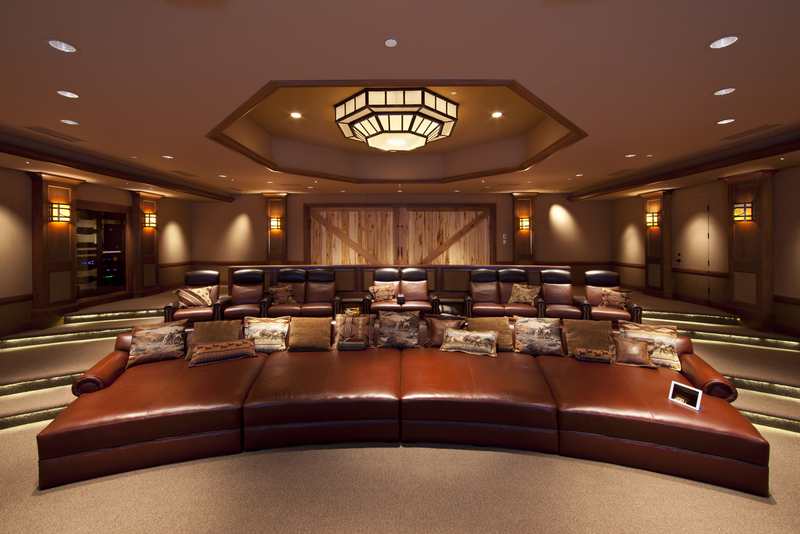 The biggest problem for a theater room is treating it as an afterthought and not properly planning before construction. Construction of the room will likely cost less if addressed at the beginning of the project versus making modification after the installation. A great room can outweigh great equipment. You can take incredible equipment and place it in an unsuitable room, and it will sound below average. On the flipside, you can take average equipment and place it in an excellent room, and it will sound above average. 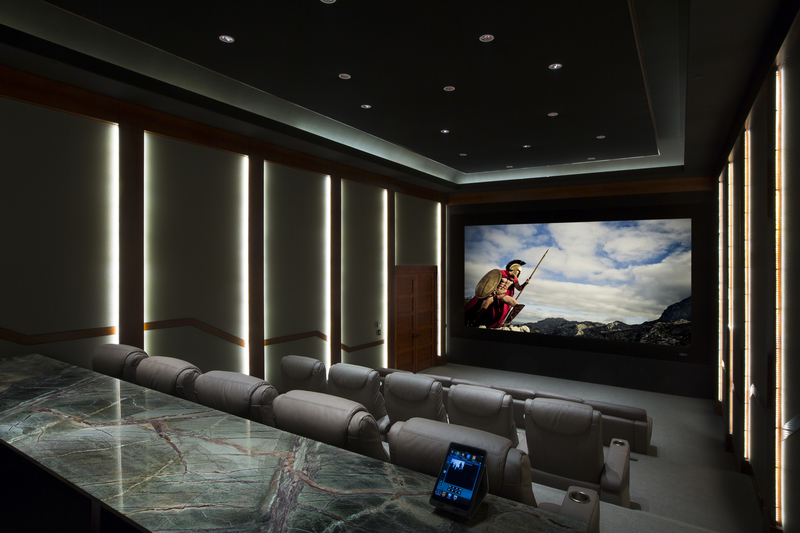 Denton explains, “most clients do not understand that to have a truly incredible theater, you cannot spend only 10k – 50k for the whole room and that the best rooms are truly engineered systems. Learn more about creating the perfect home theater acoustical treatments by visiting our new CinemaTech showroom at Suite M26 or online at mycinematech.com.